Wow. Powerful images, sweetie. Wonderful job. 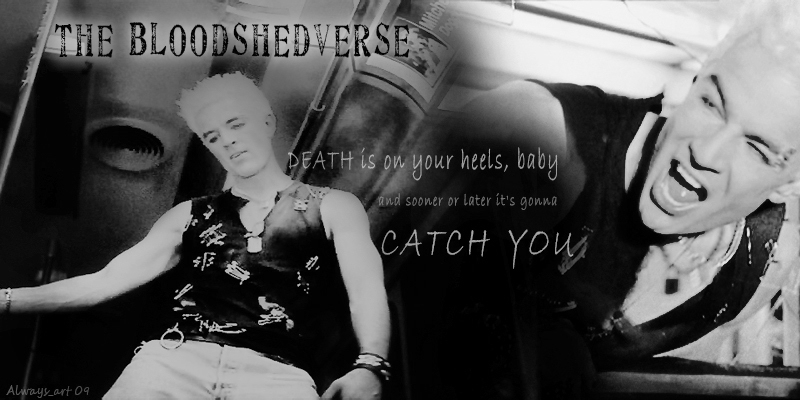 Thanks =) I realized I hadn't posted any Spuffy since September, so I felt I needed to rectify that. Glad it didn't disappoint. I was feeling rusty. Thanks! That season lent itself to such strong emotions, I just had to sink my teeth into it. A powerful little tale. It shows how much Spike is in fact keeping Buffy alive. Thanks for the comment. Buffy is in such a state of flux in season 6, and without Spike and the (however dysfunctional) outlet he provided, I'm not sure that she would have survived.